There are content goals at every level of formation, which are much like the content goals of other programs. Children in the Mother of Divine Grace Program learn the fundamentals in all the disciplines. At the earliest stage of formation the children do science experiments to learn about the parts of plants, they use art cards and become familiar with different pictures and artists, listen to and read classic stories, learn important history dates and facts, learn the states and capitals, many pieces of poetry, and math facts. At every level they become familiar with Scripture and Catholic Doctrine. They learn analytic grammar, work on writing skills, and study ancient civilizations, the Middle Ages, and American history. They learn earth science, and the principles of biology, physics and chemistry in a way appropriate to their age and situation. The mathematics they do follows the standard progression. In high school content goals assume an even greater importance. In the early years the tools of learning have a singular importance, but in high school the student is getting ready for college. There are certain pieces of information he needs to know. This fits well with our emphasis, stated above, as the student needs to be thinking about making judgments in particular matters. He should do these things in the service of wisdom, and his arguments should always be concerned with beauty, goodness and truth. Additionally, we now look to what comes beyond this course of studies. We have been preparing the students to think clearly and logically, and we have given them the tools of learning; all of this is ordered to college courses, to philosophy and theology. At every level, there is a later knowledge to which the current content is ordered. In many cases this is obvious. Learning to recognize numbers is the first building block for eventually doing calculus. Learning to read leads to being able to read Shakespeare and St. Thomas. 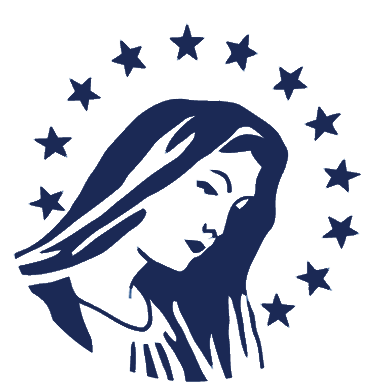 But there are two major content themes in our high school program that all our courses are in some way ordered to: The knowledge of the motives of credibility of the Catholic Faith, along with an understanding of her basic doctrines, as well as an understanding of the nature of man, and government, especially of the government under which we live. For example, in 10th grade he studies the Roman constitution and thus, mixed government, while in 11th grade, he studies the Spanish form of mixed government, so that he can intelligently discuss the US mixed government in 12th grade. The whole of the curriculum and the structure of the school is intended to help Catholic families live their Catholic faith in God's service, ordered to knowing, loving and serving Him.